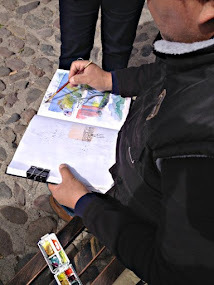 Sketch Book Jump Start in San Miguel de Allende: Get organized ! Begin Sketching! Until recently I have being sketching in a disorganized manner. Finally, after many years I have decided to keep a sketchbook and put it all together. I lived in Romania, US and Mexico. And 10 different cities, all very exiting in their own ways. 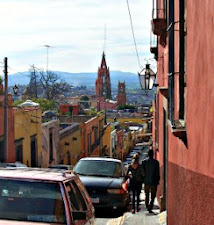 Currently I leave in San Miguel de Allende, a charming Mexican town located in the heart of Mexico. 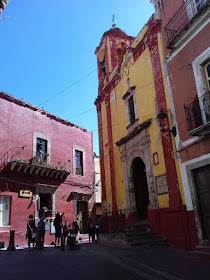 It is something to sketch anywhere in the World, but San Miguel it’s such an inspiration! I never get tired or admiring the old Colonial doors, the flower pots in the window, the vendors, musicians, tourists and locals, the list can go on and on. In this blog I want to share the joy of sketching and post some of my latest. Share challenges and success, help you get inspired and encourage to start sketching yourself!